Photo Courtesy of Random Acts. The global non-profit organization Random Acts is looking to spread kindness all across Tallahassee. 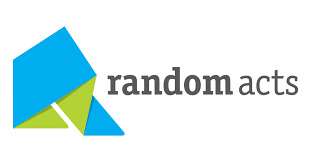 Random Acts “was built on the belief that an act of kindness engenders further ones, no matter how big or small the initial act is.” This organization helps to fund kind acts of service both large and small. Random Acts was founded by actor Misha Collins in early 2010. Random Acts covers many regions across the world including the United Kingdom, Australia, New Zealand and the United States. Each region has a regional representative who can assist the community with information about the organization. These representatives also take suggestions for projects and events that may be funded through Random Acts. During the Jan. 22 Leon County School Board meeting, Random Acts southeast regional representative Misty Cash proposed to board members an opportunity for schools in Leon County to receive $6,000 for having a positive impact on their community through the Class Act program. This award is given to encourage students to continue spreading kindness throughout the journey of their lives. As a non-profit organization, Random Acts receives its funding through various entities including donations and fundraisers. Cash, the southeast regional representative for Random Acts, says that there are many large and small fundraising events throughout the year to help raise money such as an event called Endure for Kindness (E4K). “Participants generate funds by performing an activity (such as crocheting or baking) for the longest amount of time possible and collecting pledges of supporters to pay a certain amount for every completed time unit of the activity,” Cash said in an email. “I didn’t realize that there were organizations out there that actually offered money for service projects,” junior pharmaceutical science major Monet Daniels said. Daniels thinks that Random Acts is a great organization to introduce to FAMU’s campus because it could encourage students to pursue more community service activities without worrying about a cost. Aside from providing funding,Random Acts also partners with other organizations such as IAMAlive, an online crisis support chat, which helps to support individuals suffering with depression, suicide and other mental health issues. “(Random Acts) is funding the training of volunteers, many of them from Random Act’s ranks,” Cash said. “There’s a lot of college students dealing with mental health issues, like depression, so the partnership between Random Acts and IAMAlive is a great tool for many people,” said Azende Rey, a junior political science major.